Today I helped with the laundry. 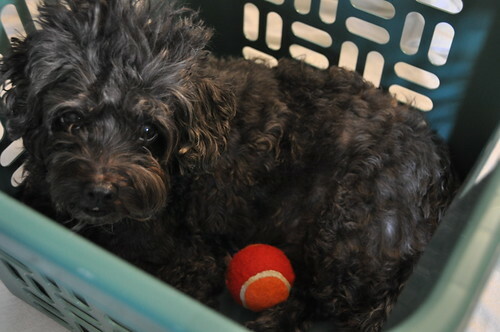 I sat in the laundry basket while mom washed and dried the clothes. Then we had a photo shoot, and the end result is this magnificent photo to the left. Chores are fun.